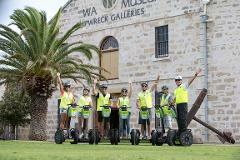 The 1½ hour Fremantle tour takes you to the iconic buildings and structures around Fremantle. Our adventure starts at the Round House and then travels through Fremantle to Monument Hill and returns via the Historic Fremantle Prison. The 1 hour tour takes you through the turn of the century streets of Fremantle. As we cruise along, you'll hear stories of the early settlers, colonists & convicts. 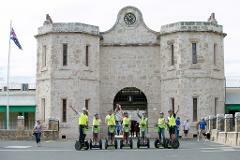 We take you to the doors of Fremantle Prison and then return.